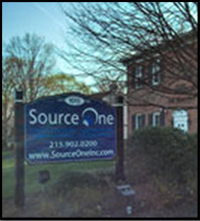 StrategicSourceror.com is operated by Source One Management Services, LLC - a procurement, strategic sourcing, and supply chain consulting firm located just outside of Philadelphia in Willow Grove. We started this blog a little over five years ago to provide relevant news, and our own insight regarding trends and issues, to our clients and fellow procurement professionals. We work with procurement and sourcing departments of mid-size and Fortune 500 companies to help them get the best value out of their supply chains and budgets, in categories like telecommunications, marketing, office supplies, and many more, by supplementing their resources with ours. We do it by empowering their procurement teams to increase their internal value and become more efficient, innovative, and collaborative strategic partners to their organizations. . Comments and discussion are always welcome on our posts. We hope you enjoy reading our thoughts and that you will come back often.